Healthy Aging® Magazine is a quarterly digital magazine targeting middle to upper income, active adults (45-plus), men and women. Each issue features tips, techniques and resources for how to live a more healthy life. Key highlights include a celebrity cover profile (Richard Branson, Arianna Huffington, Sheryl Crowe, Regis Philbin, Dolly Parton, Steven Tyler, Duchess Sarah Ferguson, Colin Powell, etc.) as well as extensive travel, food and how to live life better articles. The position offers an insight into the communications, marketing and sales required to build the brand, Healthy Aging®, the production of a timely website, and the skills necessary to publish and market Healthy Aging® Magazine. Availability: Work from home office and, if within a close radius, one day a week (several hours) at Healthy Aging business office. Prefer some daytime hours, for staff meetings and collaboration, although some research can be done in the evening. Need to commit to some flexible time during normal business hours to contact media and other representatives. Some work, such as research, can be done at any time. Self-starters and independent workers can work virtually. Research, write, post articles for website. Research other articles and photo resources for staff writers. Assistance in development of editorial calendar. Opportunity to help write, produce and distribute electronic newsletter. Opportunity to help post regular content to Healthy Aging® website. Word Press knowledge necessary, photo editing helpful. 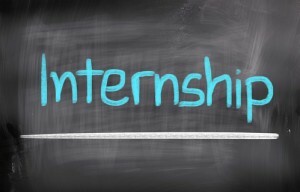 Opportunity for intern experienced with website development to help manage website. Distribute electronically periodic news releases about Healthy Aging Magazine content, and other news. Help develop concepts for marketing the Healthy Aging brand including September is Healthy Aging Month and the magazine. Opportunity to help develop sales presentations, call on advertisers, create custom programs for advertisers. Commission fee for results. Help develop and post content for social media including Facebook, Twitter, Pinterest, Instagram and blog. Help research content for feature articles. Opportunity provides intern to list such positions on resume as: Editorial Assistant, Healthy Aging Magazine, national print and digital publication, social media specialist, public relations assistant, Healthy Aging® and Healthy Aging® Magazine marketing assistant, marketing communications assistant, advertising and sales executive, business development consultant. Primarily Unpaid. Sales commission on advertising and marketing sales.